Knot Free. Length is approx. 10 mm long. Contains 56 individual lashes. The closest thing to natural lashes ever developed. DuraLash Natural Individual Lashes fasten to your own lashes so they stay on day after day, and can be worn for up to 6 weeks at a time! They're weightless, permanently curled, waterproof and comfortable. 1.Pour a few drops of LashTite adhesive on foil. Gently lift DuraLash Naturals from tray with tweezers and dip end into adhesive. 2.Place the lash cluster on top of one of your own natural lashes with end close to, but not touching eyelid. 3.Support lash gently with fingertips 'til adhesive sets. Apply 10-15 lashes per eye. 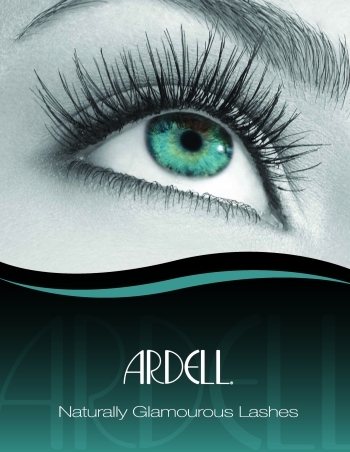 If you wish to remove lashes after adhesive has set, use Ardell LashFree adhesive remover. Glitter Rhinestone, zeleni, Art. 8823. Kristali SWAROVSKI Crni, mali, pak-50kom, Art. 8666.